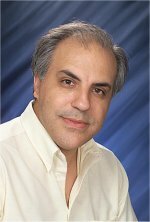 Pacific Northwest National Laboratory's Sotiris Xantheas was selected to participate in the Greater Boston Area Theoretical Chemistry Lecture Series. Sotiris was selected based on his research accomplishments in the field of hydrogen-bonded networks and the development of a new interaction potential for water from first principles electronic structure calculations. For the lecture series, a committee of graduate students from Harvard, MIT, and Boston University select engaging speakers that appeal to a broad cross-section of the student population. As part of the series, each speaker spends a day at each of the three institutions visiting with faculty and delivers a 3-hour lecture at MIT on the evening of the third day. During his visit, which took place during September 24-26, 2007, Sotiris provided the next generation of scientists with opportunities to learn more about theoretical chemistry at PNNL. Also, he discussed opportunities to bring students to the Laboratory for collaborative projects next year.